They definitely took too many different paths, and changed too many moods when they were making “Into the woods”. Musical, fairy-tale and drama (that last part was completely unnecessary) with great cast started well and in the first half of the film I thought that all that criticism was undeserved. Film made me laugh, I felt strongly for the characters and songs were interesting. Then the filmmakers decided to chew off too much of fairy-tale material for their own good. Fairy-tale started to look as philosophical essay and the tempo was completely lost. 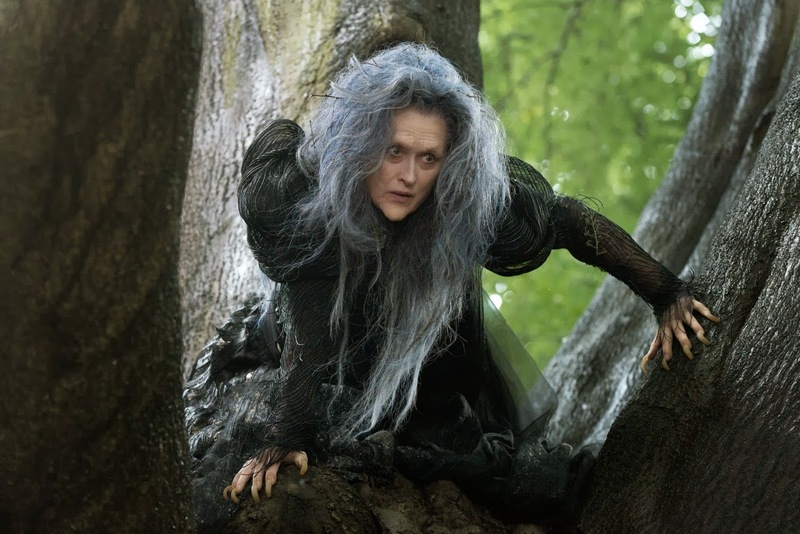 Meryl Streep as Witch was great but in my personal opinion her nomination is undeserved. I saw Emma Stone in “Birdman” yesterday and I can tell that her performance was more powerful than Meryl’s in this movie and I think that Meryl is one of the best actresses ever. That speaks enough about the movie and the feeling it leaves after the credits. Chris Pine was welcome surprise and his acting as Prince Charming is as good as it could be. I was delighted with Lilla Crawford as Little Red Riding Hood. Also, positives of the movie were Emily Blunt as Baker’s wife and Johnny Depp in his short episode as Wolf. I had a lot of bad acting and characterization to swallow whith Mackenzie Mauzy as Rapunzel and Billy Magnussen as her Prince. That whole storyline was badly written and, as plot is concerned, completely unnecessary. They put too many fairy-tales into the film. “Into the woods” was OK until the part when female Giant comes to the kingdom. I loved the twist in the end in which the endings of the tales are made more real than expected but I didn’t like the path chosen to get to these endings. Film would be better if it was half an hour shorter at least. Too much material was in it and the actors seemed lost in it. Not deliberately and not in a good way. “Into the woods” felt like a meal with great ingredients left on the stove too long with all that fine ingredients overcooked into uneatable rubbish. Rob Marshall as the film director did fine job but he couldn’t undo the shortcomings of the screenplay. Too many songs and too many story-lines were put into the movie and not all of them were necessary. Again, especially Rapunzel story was completely overdone and especially irritating. I hated the acting of Mackenzie Mauzy and Billy Magnussen, they were completely lost in the movie and that can especially be seen in the scenes in which M. Mauzy shared the screen with Meryl Streep. Meryl reached her standard good performance but I think that this time it isn’t nomination worthy. Anna Kendrick maybe wasn’t Cinderella I imagined, but her performance had more soul and emotions and in some points of the movie I felt for her character. With Rapunzel that was not the case throughout the movie. Magnussen had one good scene, his singing duel with Chris Pine, but I’m not sure that he’s to credit for the appeal of that scene. Last third of the movie was painful to watch. With exception of Emily Blunt and Chris Pine in the scene crucial for the ending, I felt like the plot was dragged into the depths that weren’t good for anyone. Actors felt repeating themselves, and Baker (played by James Corden) went from being the character I felt strongly for to the character I would just like to stop repeating his “weak man of a strong wife” routine. Last song of Meryl Streep in the movie was memorable and it was the last scene truly worth mentioning. After that I felt cheated. The tension felt artificial, and the last big conflict made me feel sorry for the villain. Too much philosophy and unnecessary built atmosphere tend to do that. You lost your heroes from the radar, and their story lose any importance. Pity. Film started so good and had so much potential in the first half. I was truly disappointed. Fairy-tales have their structure. There is nothing wrong with trying to take that structure and turn it upside-down. I liked the new take on the familiar characters and I liked where they ended. I just didn’t like too many paths they took to end up there and the way they did it. In a nutshell, “Into the woods” would be much better film without Rapunzel and her Prince and if it was (at least) half-hour shorter. Made as it is it’s not worth of the praises. Overcooked meal with great ingredients. Must be washed up with water, too many spices for it to feel good. It seems like everybody were lost “Into the woods”. Previous Post “Man in the High Castle” (2015.) – Best of Amazon pilots this season.